White Wolf : Discover Award-winning Best Short Film "The Ballad of Crowfoot"
Discover Award-winning Best Short Film "The Ballad of Crowfoot"
This was one of the first movies created by the National Film Board's First Nations unit, and was shown in schools across Canada. 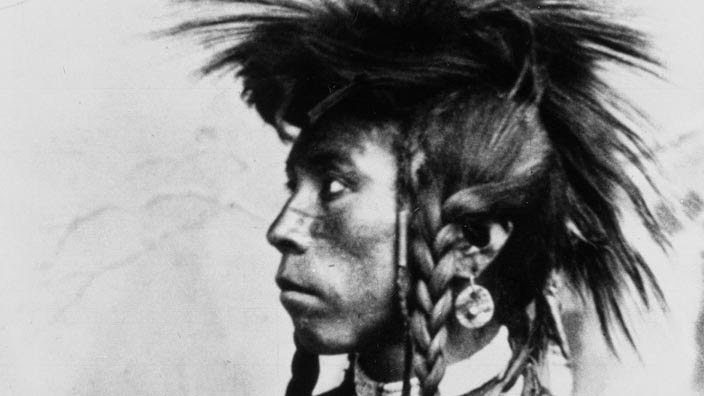 This historic short film – the work of an extraordinary Micmac singer, songwriter, and award-winning documentary filmmaker – examines the situation of Aboriginal people in North America through the figure of Crowfoot, the legendary 19th-century Blackfoot leader of the Plains. The lyrics of Willie Dunn’s impassioned “Ballad of Crowfoot” are set against “a powerful montage of archival photographs and film footage of buffalo being slaughtered. Responses to "Discover Award-winning Best Short Film "The Ballad of Crowfoot" "
Thank you for this wonderful film. And the song is perfect.